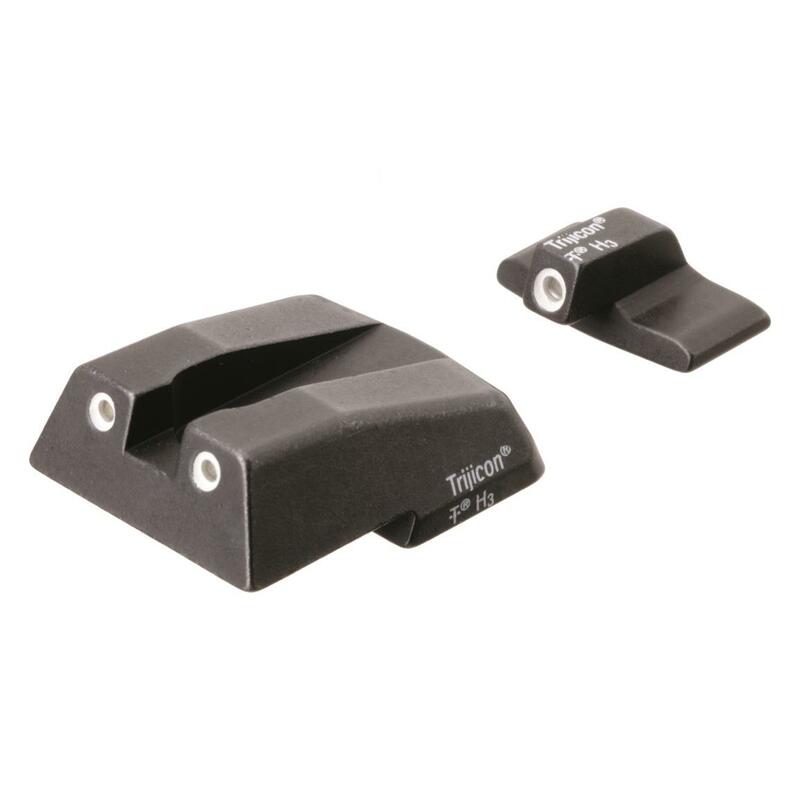 Line up the front and rear dots to increase your night fire accuracy with Trijicon® Bright & ToughTM Night Sights for your H&K® model handgun. Self-luminous tritium phosphor front and rear sights along with your instinctive shooting speed combine to put you on target without the need to change batteries or wait for powering-up. Shock-resistant construction and aluminum cylinders protect the lamps from damage. Sapphire jewel window distributes light evenly while white rings add daylight visibility. Handgun Make and Models: H&K® .45C, .45C Tactical, P30, P30L, P30SK, VP9.